Channel A is a unique ECC83/12AX7 valve channel for active and passive instruments. 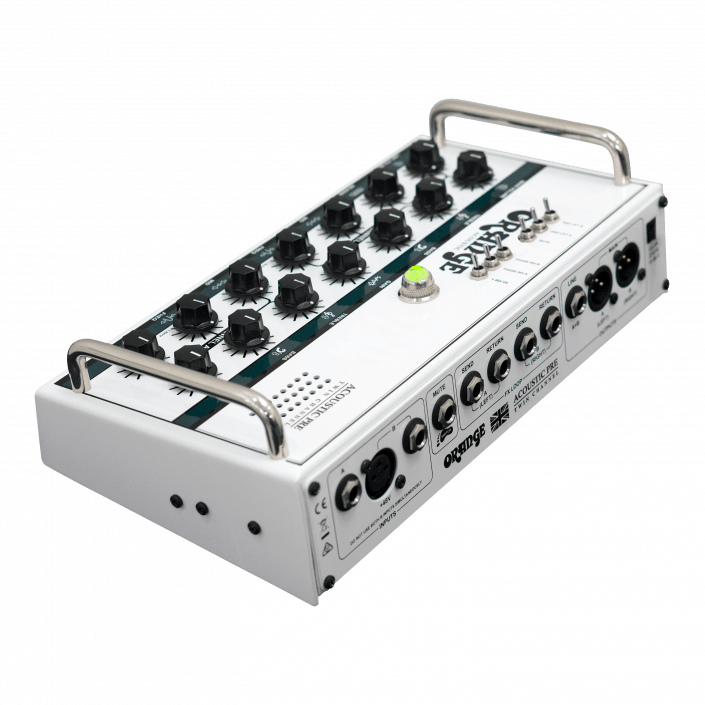 The valve circuitry operates in a totally different way to most electric guitar amplifiers and has been designed to amplify a much wider frequency range in order to capture every subtle nuance of acoustic instruments. The tonal effect of the valve can be fine-tuned with the preamp’s ‘Heat’ control which adds gain in the upper mid range and above, whilst also adding subtle compression. This can be used to revoice this channel depending on the playing style. Backing off the Heat offers a warmer attack for flatpickers, whilst turning it up adds more presence and sparkle for fingerstyle. The analogue solid state Channel B has a different, slightly softer character with outstanding clarity. 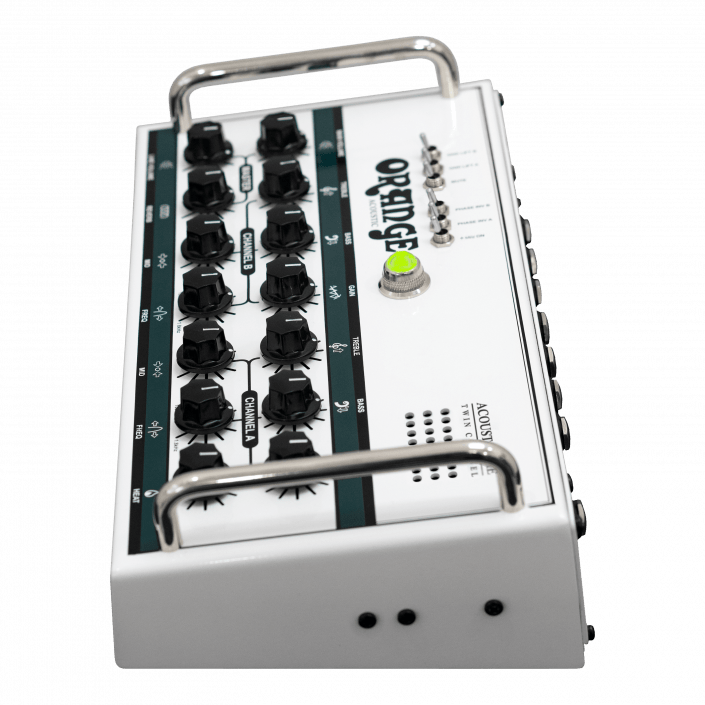 This channel has inputs for either a microphone or an instrument, and features switchable 48V phantom power. 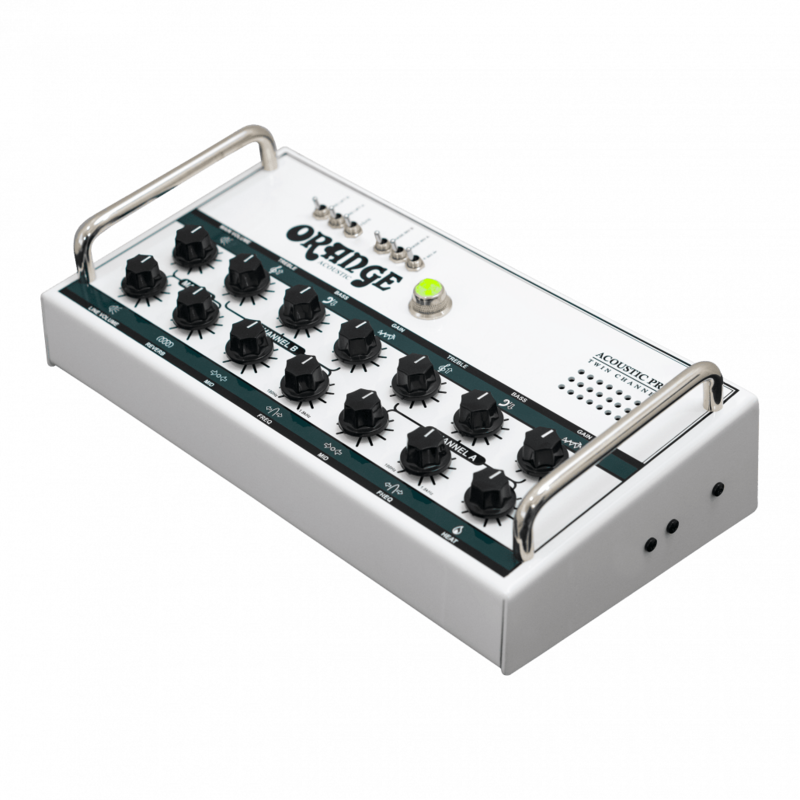 Both channels can be used independently or blended together – perfect for the modern player who combines multiple sound sources. 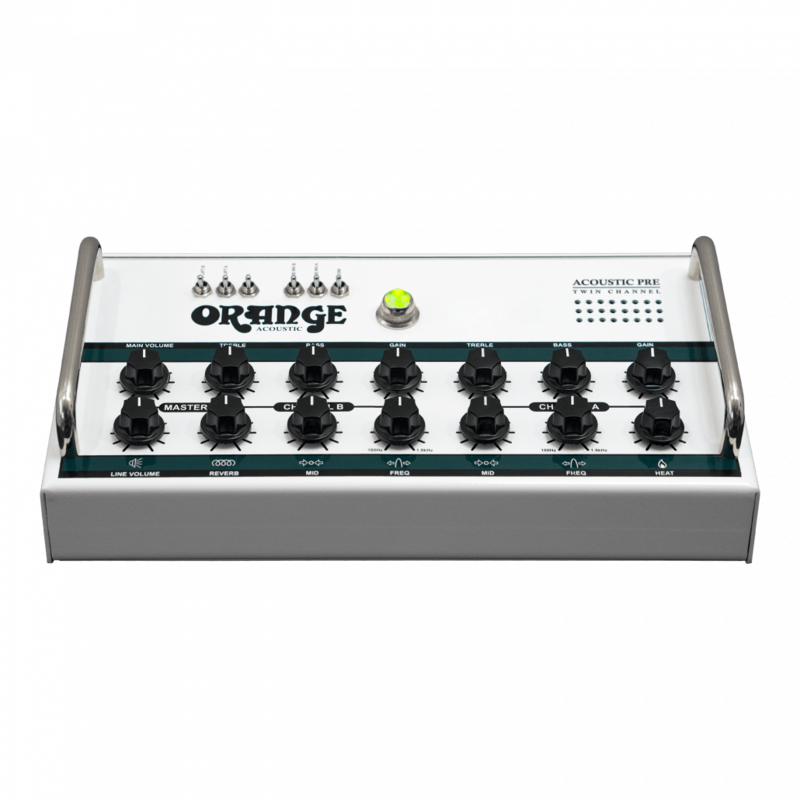 Each channel has a three-band EQ with a semi-parametric mid control, plus switches to correct feedback issues on stage and phasing problems between dual-source pickups. The tone shaping options have been voiced to perfectly control the natural body and ‘air’ of acoustic instruments, whilst the onboard stereo reverb adds stunning ambience if desired. On the rear, the preamp features flexible routing options, including independent effects loops and balanced DI outputs for each channel. 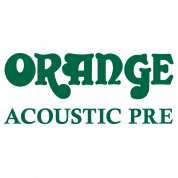 Handmade in the UK the Orange Acoustic Pre has already been a hit with major artists. 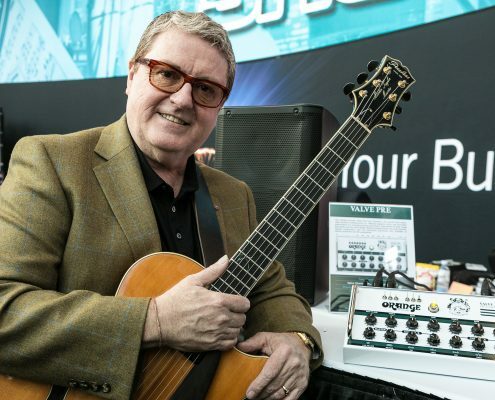 Prototypes have already gone straight into the touring rigs of Stevie Wonder for use with his Harpejji and fingerstyle jazz guitarist Martin Taylor MBE. FX Loop Send A: Connects Channel A to the input of an effects unit. The Send can also be used as an unbalanced output for Channel A (post-EQ, pre-Reverb). 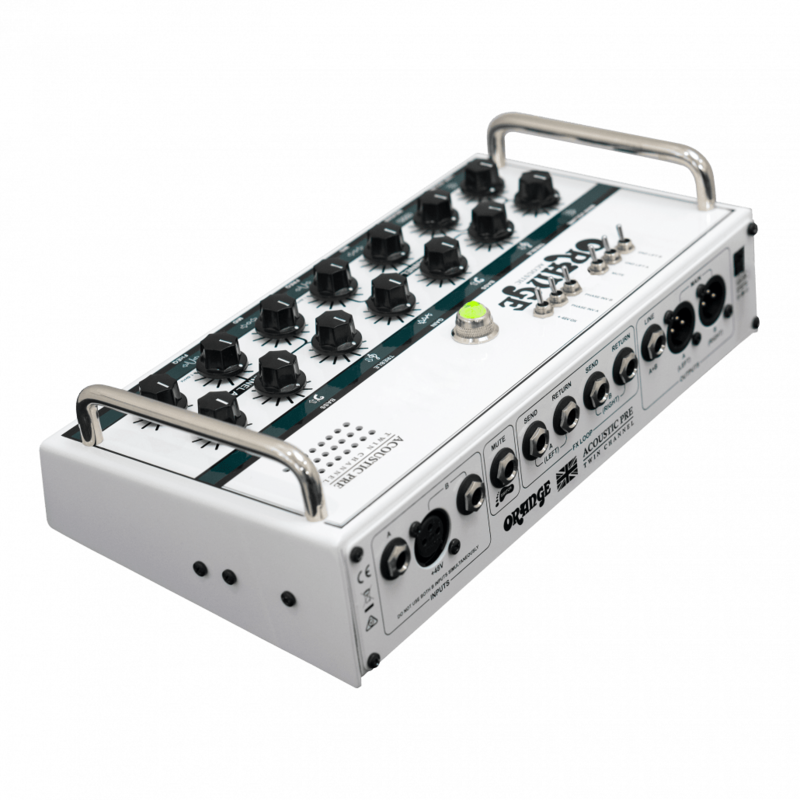 FX Loop Send B: Connects Channel B to the input of an effects unit. The Send can also be used as an unbalanced output for Channel B (post-EQ, pre-Reverb). With the Acoustic Pre I can turn up for radio sessions knowing I have easy control over my guitars without a ton of gear. It’s a really versatile tool in the Clean Bandit studio. 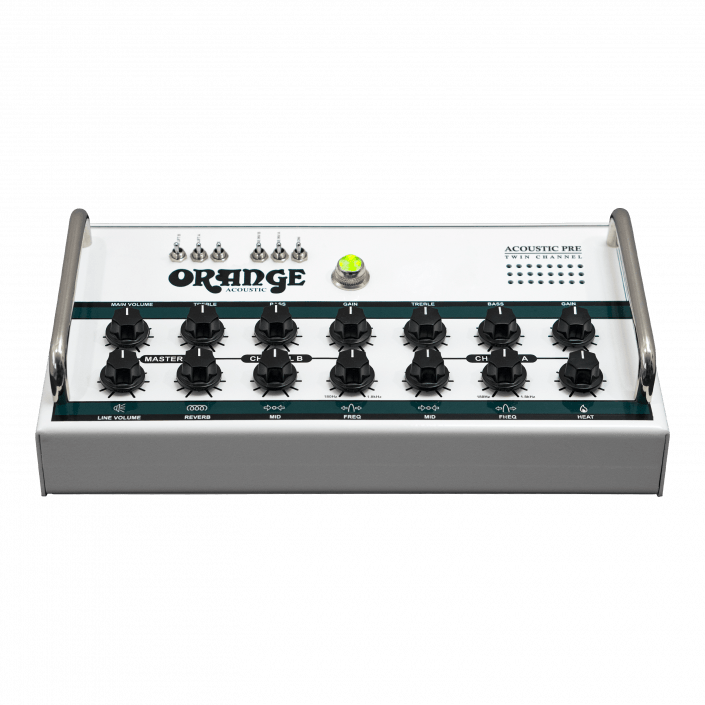 For a first acoustic product, Orange have pretty much nailed it! this thing up that are brilliant! I love having options!!! I feel I have really enhanced my acoustic sound with this.